This high-sensitivity, 12-parallel-channel, WAAS-enabled GPS receiver with an integrated magnetic base. The puck-like receiver is 2.4 inches in diameter and weighs just a few ounces, making it an ideal solution for applications where space is at a premium. 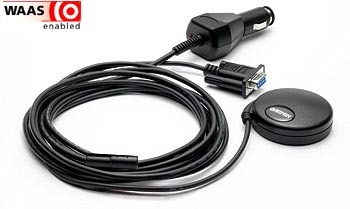 GPS 18x PC — has DB-9 pin serial connector with 12-volt cigarette lighter adapter; can output data in NMEA 0183 format (industry standard) or proprietary Garmin format. compute and update your position. Additional Sensor Configuration Information (PGRMC1). See section 4.2 Transmitted NMEA 0183 Sentences for format descriptions. • Configurable for binary data output. The GPS 18x PC is a high-sensitivity GPS sensor that replaces the GPS 18PC.